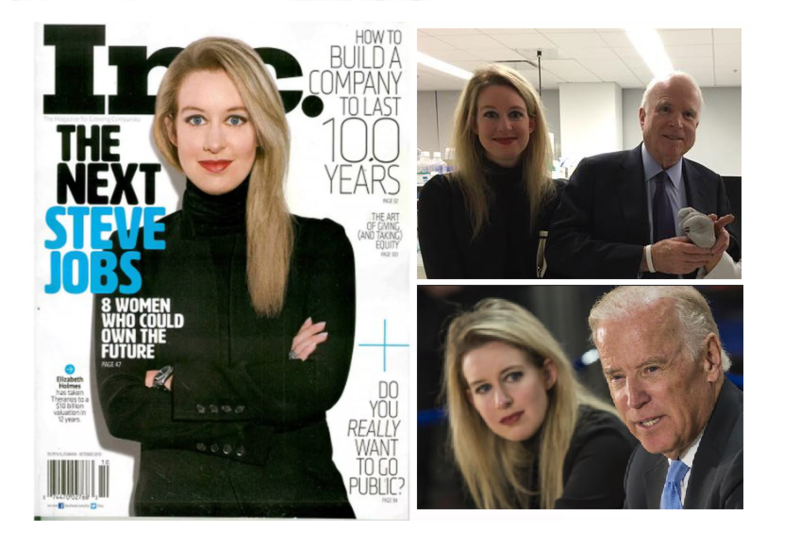 Theranos CEO Ms Elizabeth Holmes, former darling of politicians like Hillary Clinton, Joe Biden and John McCain, was officially charged with two counts of conspiracy to commit wire fraud and nine counts of wire fraud. It is quite the fall from grace for this Silicon Valley prodigy who was once hailed as ‘the new Steve Jobs. If sentenced, Ms Holmes risks a 20-year prison sentence and some $3 million in fines. Federal prosecutors indicted Ms Holmes for defrauding investors, doctors and patients as the chief executive officer of her blood-testing start-up Theranos, hailed by the likes of Vice-President Biden back in 2010 as an ‘example for all’. But now, acting US Attorney Mr Alex Tse said: "CEO Elizabeth Holmes and COO Sunny Balwani not only defrauded investors but also consumers who trusted and relied upon their allegedly revolutionary blood-testing technology." Any claim of a revolutionary technology able to test blood faster than any other is highly in doubt as most investors have by now accepted they are unlikely to ever retrieve their cash. Theranos, which Ms Holmes founded in 2003 when she was only 19 claimed in its heyday that its devices could test for conditions such as cancer and cholesterol with only a few drops of blood from a finger-prick, rather than taking full blood samples by needle from a vein. She promised investors to turn the product into a supermarket sold disease tester for the general public, which earned her the praise of politicians and a lot of investor cash.